Lionel Messi vs Cristiano Ronaldo is a bit like the "Oasis or Blur" of its day. We know that both are phenomenally gifted. But now we know that Lionel Messi isn't human. After yet another outstanding performance in Barcelona's 4-2 victory over Valencia at the Nou Camp, he's notched up another ludicrous record - getting one over his Real Madrid rival in the process. His 100th (yes, 100th!) 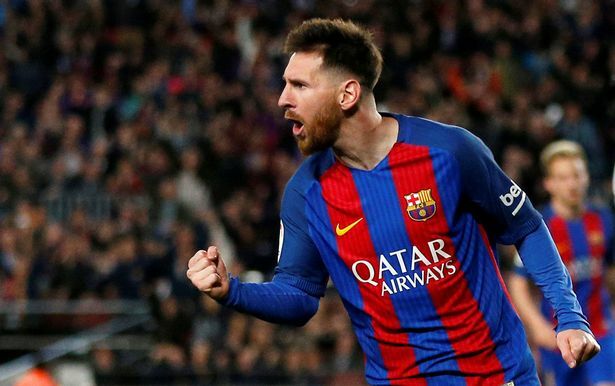 brace for Los Cules last night means he is now the ONLY La Liga player to reach 40 goals in each of the last eight seasons in all competitions. Since the start of the 2009/10 season, Messi has scored a frankly ridiculous 410 goals for Barcelona, compared to Ronaldo's paltry 390 for Real Madrid.